was driving along with the wipers on, and they suddently stopped in the middle of the windscreen. none of the wiper controls would do anything. had to pull over (it was raining). tried to move the wipers by hand, they were pretty much locked in place - very little movement possible by hand. eventually managed to get them back to the home position by using some force, but in doing so it sounds like the linkage broke or came undone, as there was a clunk and now the wipers will move by hand will very little resistance. wiper controls still do nothing though. so what are the first things i need to check. 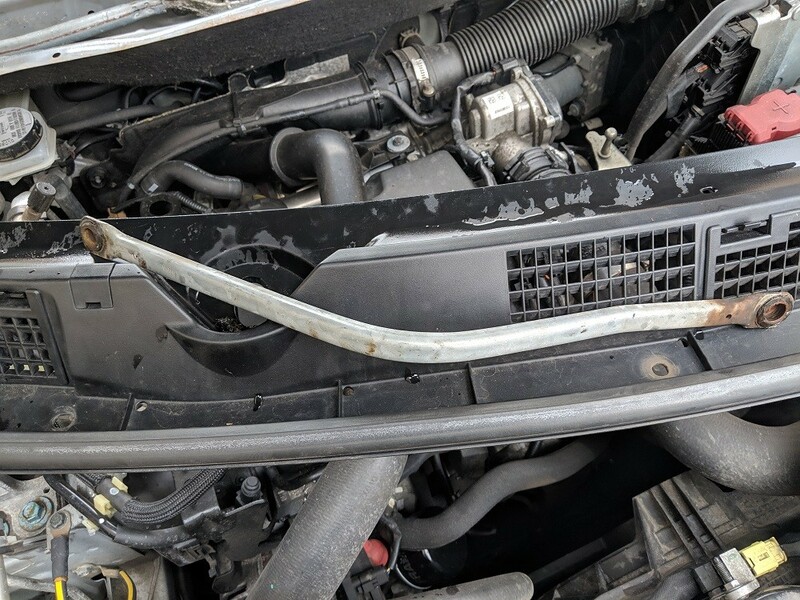 Seems the wiper motor failed. ok so i've had a look thru the two inspection hatches and can see the linkage is completely disconnected at both ends - that might have been my doing though when moving the blades back to home. however, i can't see the motor doing anything when the controls are engaged though. so again, i may have two separate issues here..
this replacement do the job? 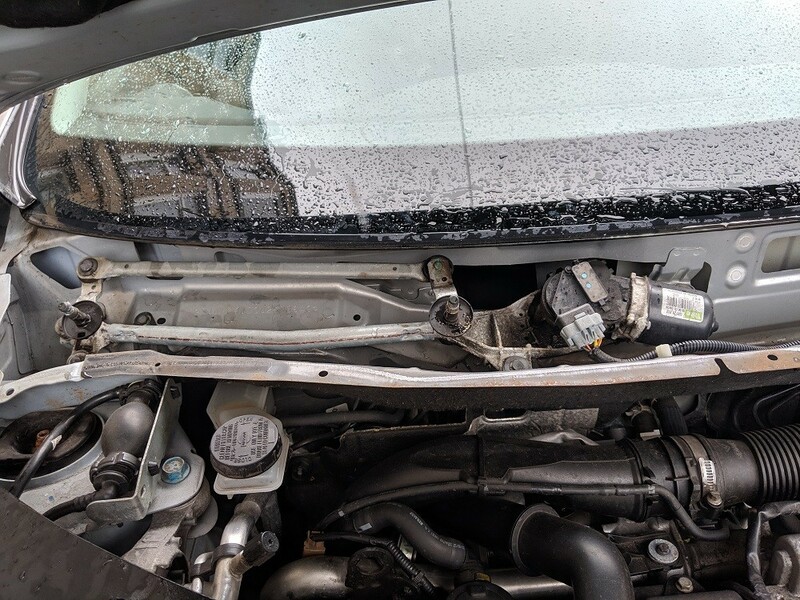 ok so i've manager to undo the bolds on the wiper arms, but can't seem to get them to come off. OK so finally got a right size ratchet to undo the wiper arm bolts, got them off, removed the plastic and saw what was underneath. i found a linkage arm just rattling about disconnected at both ends. the top linkage is still connected at both ends, the one that joins the two wipers together - they both still move together if you move them by hand. i assume the linkage that is loose is the one that connects it to the motor? stupid image links don't work ! anyway, the wiper motor is covered by the warranty i have, so it's with them now to get fixed. i can only assume that the linkage got bent in the process of me moving the wipers back to home. if it was i'm surprised it bent so easily.